You have to have a waiver on file if it's your first time skating here. You can do that online right here. Under 18 must have a parent or legal guardian sign for them. 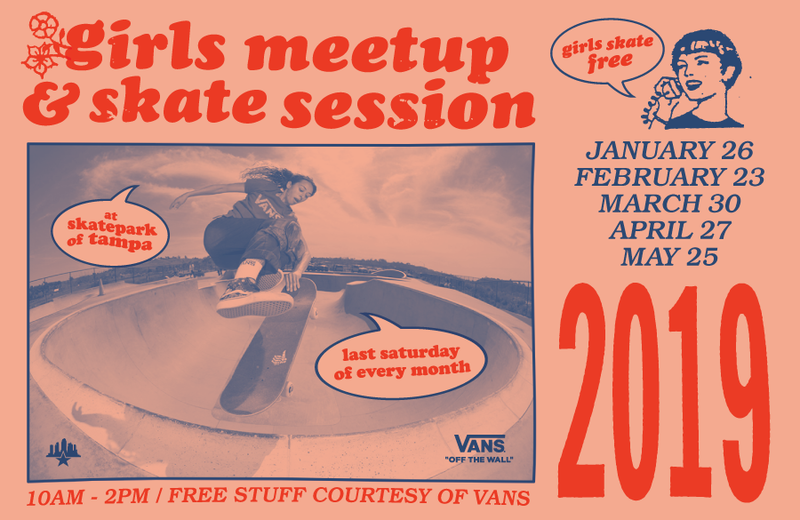 We teamed up with Vans and Boards for Bros to help empower women of all ages to learn how to skate. Want to know who rips in our neighborhood? Hit the image below to see some of our favorite photos of girls shredding. You'll probably see them at one of these meetups or at our next All Ages Contest. We know you're on Instagram and Facebook as much as we are, so here's an image you can use to help hype up these sessions. We'll have photo and video coverage @SPoTTampa, using the hashtag #SPoTTampa and #SPoTGirls.